This was taken at a cross country course in France. 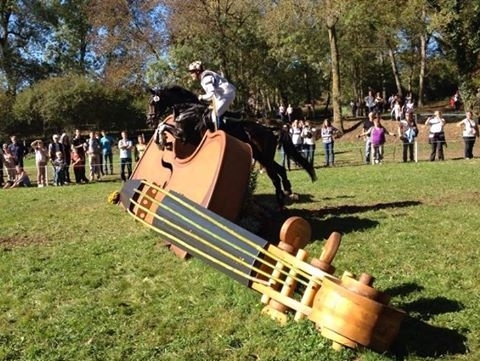 Who know that even the horse world is influenced by violins!! I would love to jump a jump like that with one of my beasties....and i thought i'd just share it with ya'll!! Oh.. that is just lovely. Thank you for Sharing.. OH How I would love to see that up close. check this out @Kevin M.
I like that a lot! Thanks for sharing it.